In pictures: Russia`s President Vladimir Putin chairs a meeting at the Bocharov Ruchei state residence in Sochi, 05 February 2013. The meeting was dedicated to the aftermath of floods, which hit the southern Russian town of Krymsk and killed 171 people last summer. 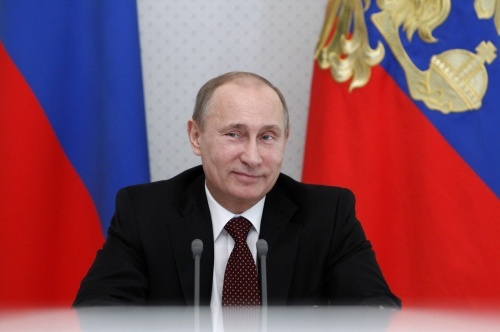 Russia`s President Vladimir Putin chairs a meeting at the Bocharov Ruchei state residence in Sochi, 05 February 2013. The meeting was dedicated to the aftermath of floods, which hit the southern Russian town of Krymsk and killed 171 people last summer.